Throughout her career, Ana Ivanović, the professional tennis player from Serbia, won many awards and titles. Ana took fancy in this sport in her childhood and decided to become the best player. Although Ivanović finished her career, her achievements are still widely discussed. Ana Ivanović was born on November 6, 1987, in Belgrade. Usually, future sportsmen are encouraged to go in for sports when they are very young. In Ana’s case, things were a little different: when she was five, she watched a tennis match on TV and got interested. The Serbian tennis player Monica Seles became the young girl’s icon. Ana’s parents were not engaged in the world of tennis: the mother was a lawyer, and the father was a businessman. Ivanović has the brother Miloš who is four years younger than her. Ana learned how to play during the Yugoslav Wars; she had to master her skills in harsh conditions. The woman remembered she had to practice early in the morning so that she would not remain unprotected during bombings. There is no wonder Ana developed the steel character, determination, and the desire to go until the end; these traits contributed to her career success later. At the same time, Ivanović was a superstitious person: she never stepped on the lines contouring a court. At 13, Ana Ivanović participated in youth competitions, but she did not stand out at that time. She had her first victory in 2002 in the USA. In the Wimbledon junior final game, Ana played with the Ukrainian athlete Kateryna Bondarenko. Although Ana lost to her opponent, she proved to be a professional and placed the 100th in the tournament rating. Next year, Ana became the professional player officially and began to take part in adult competitions. She managed to achieve many goals. In 2005, there was a breakthrough in her career: she won in Canberra and received the first WTA title. In the Grand Slam, she reached the quarterfinal. 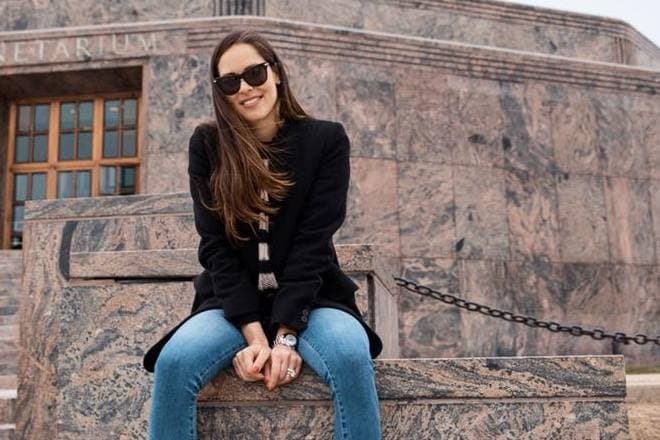 At the end of the year, the Serbian sportswoman became number 16 in the world’s rating. 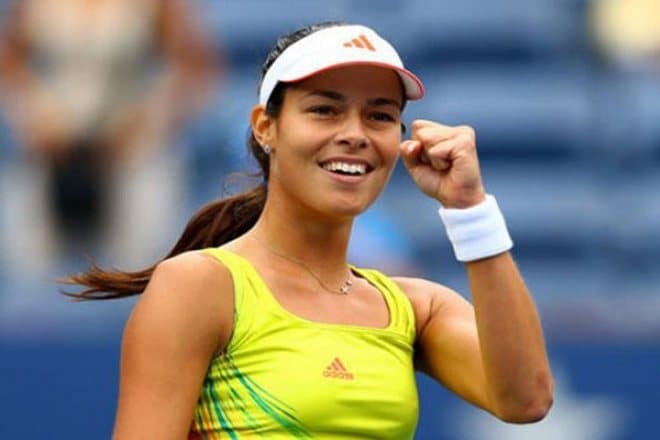 Later on, Ana strengthened her position and got closer to her cherished dream – to become number one ranked player in the world. She defeated the Russian tennis players Svetlana Kuznetsova and Nadezhda Petrova and gained the fourth position. The next year was marked with the dream coming true: Ivanović finally won the called Roland-Garros and thus became number one all over the globe. This moment was grandiose. Ana was popular and was always at the center of public attention. Journalists marked her excellent playing with her right hand, wonderful serve, and forehand. After the meteoric rise, the period of standstill followed. In August 2008, there was the first serious failure: in the second-round US Open match, she lost to the French player Julie Coin who was number 188 at that time. The next year brought a decrement in performance and new traumas: the Serbian player placed 20th. Despite her health issues, the woman tried to improve her results. Only by 2014, she regained her fame. In Melbourne, Ivanović won the game against Serena Williams, the first player of the world. 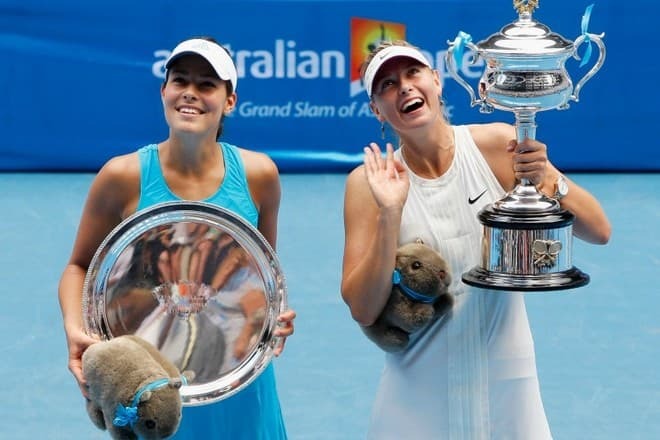 In Stuttgart, Ana reached the final but lost to Maria Sharapova. In that season, Ivanović canceled the contract with the coach Nemanja Kontic; the young woman confessed she felt like changing her mentor to reach the next level of playing. As she placed the fifth in the world’s rating, the sportswoman announced she would like to win in the Grand Slam again. However, in the WTA singles final, Maria Sharapova defeated Ivanović again. At the beginning of her tennis career, Ana was a shy person and negatively viewed curious journalists’ attention: she did not like it when they put her in the center of public attention and interfered with her private life. In the course of time, however, Ivanović revised her opinions and started to communicate with her fans openly, give interviews, and have her pictures taken for popular glossy magazines. At 20, Ana was dating the Spanish tennis player Fernando Verdasco known as a womanizer. The couple announced their relationship in fall 2008; the woman introduced Verdasco to her parents. The young man was often present at Ivanović’s games and tried to be with her. Journalists believed Fernando’s intentions were serious. However, the relationship negatively influenced Ana’s career. In the end, the couple informed about their breakup and remained friends. Ana never lacked men’s interest. Once, her friend Novak Djokovic introduced Ivanović to Mark Stillitano. The couple’s affair was short. The new and long relationship with the Australian golf player Adam Scott followed. Ana and Adam met during the Rolex ad shooting. The lovers were spending all their time together, but both of them had career difficulties. In spring 2012, they split up. Ana was not single for a long time. The Serbian water polo player Vanja Udovičić conquered the woman’s heart with his compliments and precious gifts. However, they failed to make a good family and broke up. 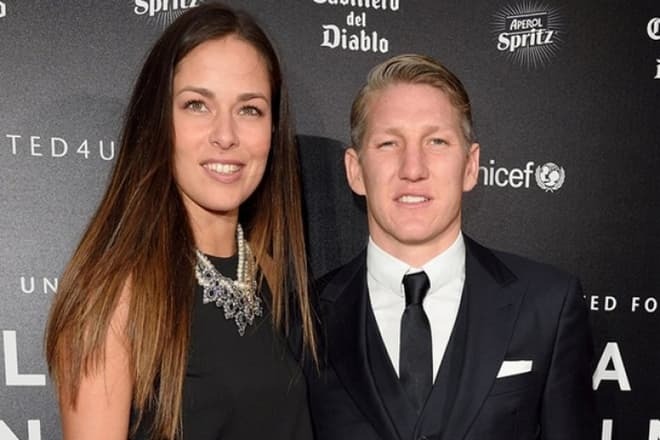 When journalists noticed Ana Ivanović with the German soccer player Bastian Schweinsteiger, there were many speculations about their love affair. By that time, the young man had split up with Sarah Brandner whom he had been dating for seven years. 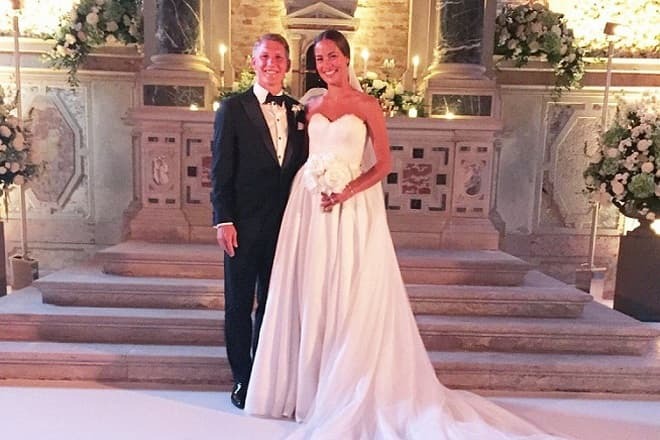 Ana and Bastian started seeing each other; in 2014, the woman accepted Schweinsteiger’s proposal. The celebration took place in the romantic atmosphere of Venice; fans were discussing the wedding photos for a long time. In December 2016, the tennis player announced on Twitter she had finished her career. Ivanović devoted herself to creating a friendly family. Today, she happily lives with her husband. On March 19, 2018, the couple’s son Luka was born. Ana has the official Instagram page where she regularly posts photos and videos from her daily life. The woman’s height is 184 cm., and her weight is about 69 kg. 2007 – Serbian Sports Association "May Award"